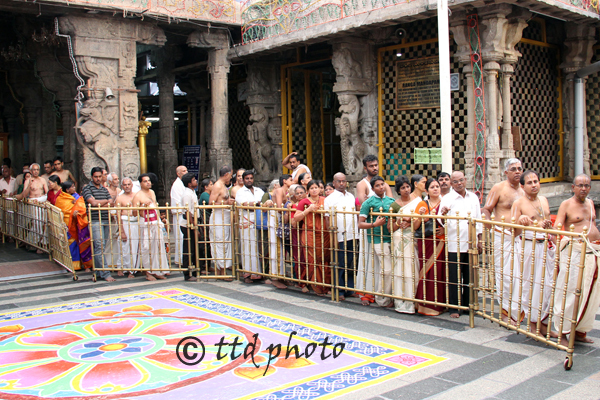 TIRUMALA, MAY 29: TTD EO Sri MG Gopal on Thursday inspected the newly introduced three-layered queue system inside sanctum sanctorum of Lord Venkateswara at Tirumala to provide hassle free darshan to multitude of pilgrims. The top boss of the religious institution spent almost eight hours inside the santum observing the pros and cons in this new system of darshan. Tirumala JEO Sri KS Sreenivasa Raju, Additional CVSO Sri Siva Kumar Reddy, SE II Sri Ramesh Reddy, GM Sri Sesha Reddy, temple Deputy EO Sri C Ramana also accompanied the executive officer. 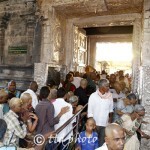 The EO instructed the vigilance authorities to record the pilgrim darshan report on hour to hour basis to see whether the new system has been beneficiary to the pilgrims. Meanwhile the engineering officials have set up wooden platforms of different sizes to form three layers in order to provide hassle free darshan to the pilgrims. 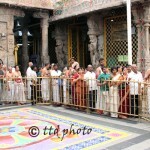 The first platform was raised to a height of 16 inches, while the second to 7 inches and the third one executed on the floor level and these variations in platforms enabled pilgrims to witness the Lord Venkateswara without any push and pull by the scouts, volunteers and employees in the queue management area. 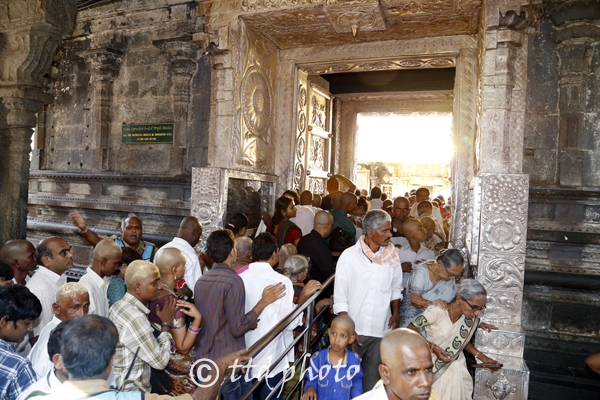 Many pilgrims expressed their immense satisfaction in the way they had darshan through this new system introduced by TTD.